We love to do candy cane hunts every year when we get our Christmas decorations out and find a bunch of old candy canes! 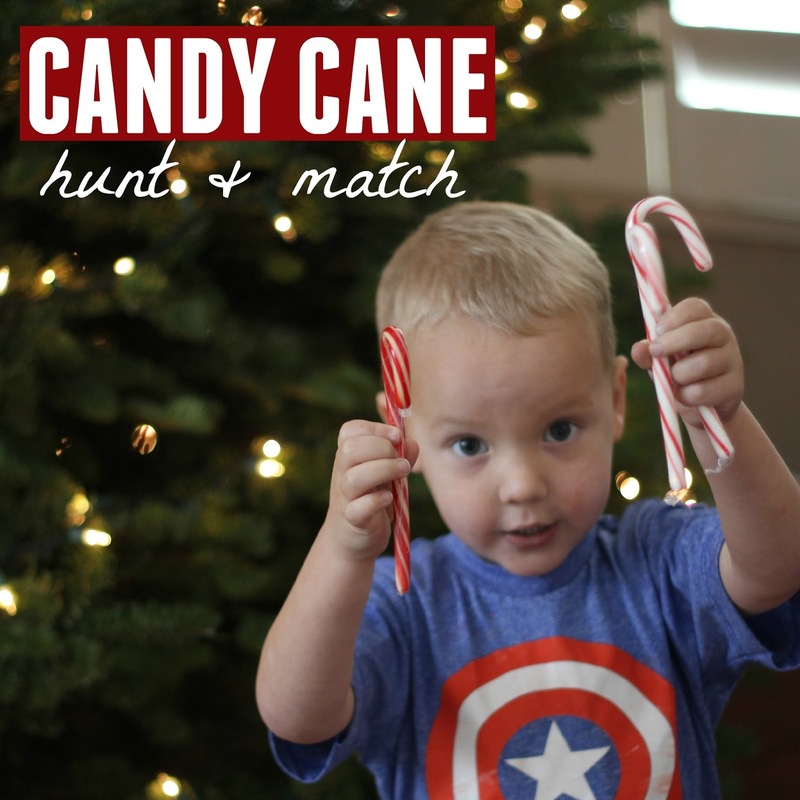 For Day 5 of our A Very Toddler Christmas series we decided to do another candy cane hunt and add in a matching component! This is a fun way to help match and count the number of candy canes we have. To get started you just need a few materials. 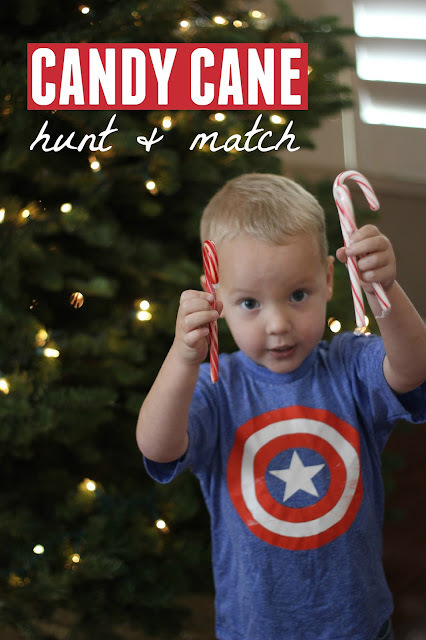 Start by making your candy cane match page based on how many candy canes you want to hunt for. We kept things super simple for my littlest one and just used four candy canes. Next hide your candy canes all around the room or all around your Christmas tree. 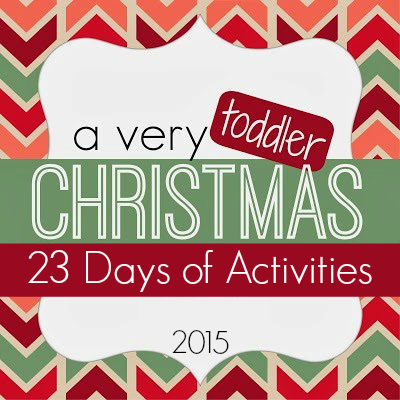 Send your little one in to find the candy canes. As you find the candy canes you can go and match them to the candy cane matching picture. My son liked to count each cany cane as he found them. For my bigger kids we used more candy canes and we hid them in harder spots. We played again and again and again. My kids also like to take turns hiding the candy canes for each other. This game is usually played all December long! We also pin Christmas ideas daily over on our Christmas Pinterest board if you need additional ideas!